Of all the home decor innovations that the Victorians bestowed upon us, their Victorian tiled flooring must rank as the most impressive. They also gave us the high ceilings with ornate cornicing, sash windows plus their intricate wallpapers and panelling. Phew, those Victorians certainly knew a thing or two about opulent homemaking. 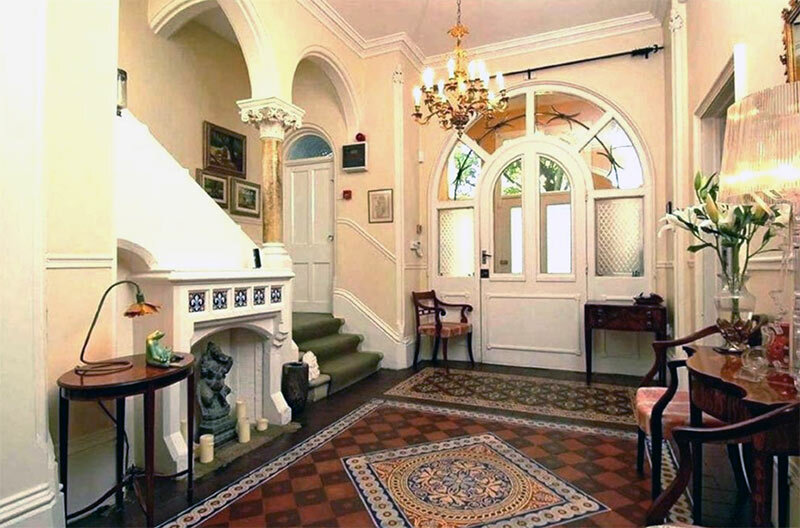 If you’re lucky enough to have an original Victorian floor tiled mosaic in your hallway or kitchen, I’m green with envy! There’s nothing quite as elegant as stepping into one’s home across a threshold built from square cut tiles flaunting classic colour and sophistication. And if you haven’t, well, we might just have a simpler way to get the look. 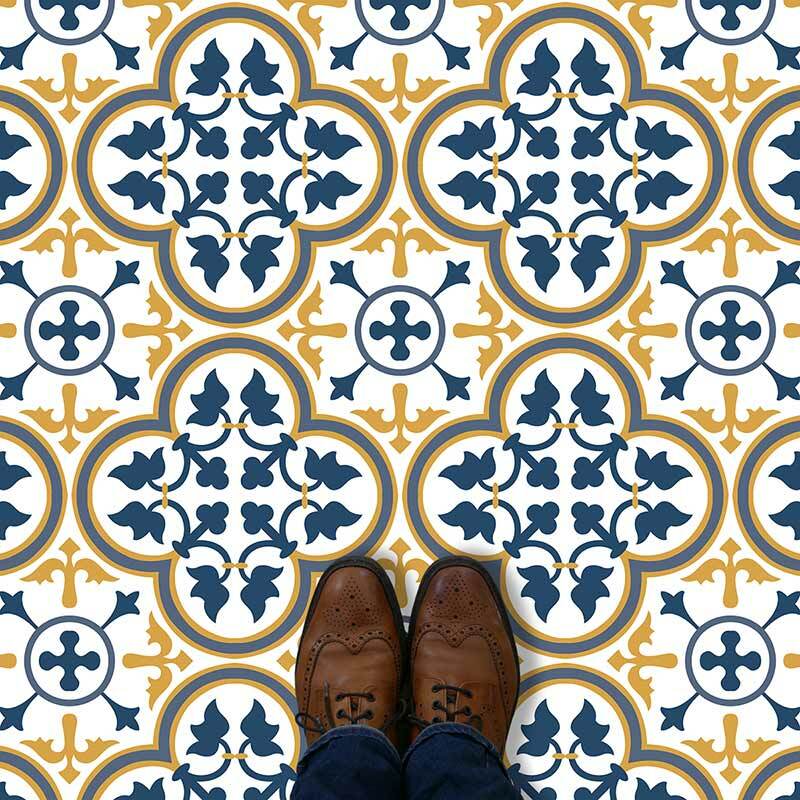 From debonair mosaic masterpieces to understated colour and tones, Victorian style vinyl flooring is a straightforward and effective way of capturing the feel without all the difficulty of installing a multitude of porcelain or clay Minton tiles. Victorian vinyl flooring is the simplest and most practical way of getting the Victorian tile look whilst having all the benefits of being on a roll. Where can I use Victorian style vinyl flooring? 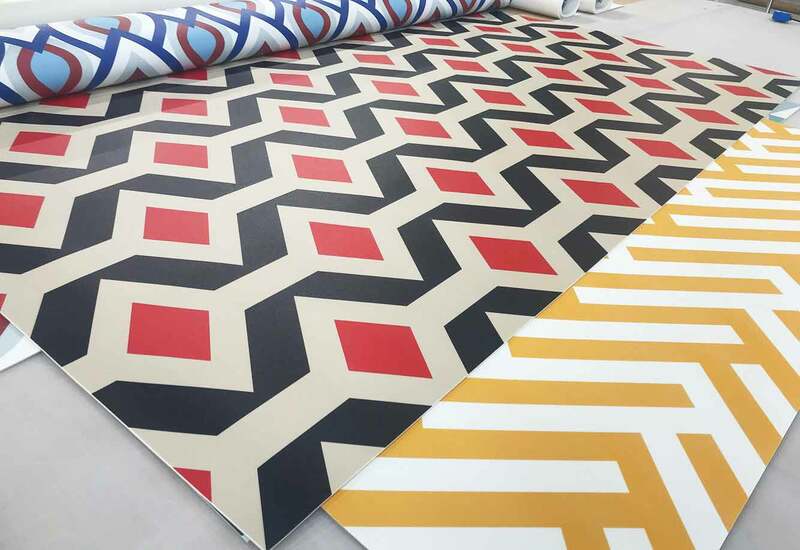 We print directly onto the wear layer of a specially sourced vinyl flooring, so although it is super durable, it could never go head to head with stone or tile. We’d recommend it for hallways, bathrooms, kitchens and utilities. Just don’t use for the outside pathway to your front door! To make sure our vinyl is right for your home, ask for a free sample before purchasing. Samples are available of all our Victorian style vinyl flooring designs. Add your details to the box below each pattern and we’ll pop a square in the post for you. Use and abuse one of our sample squares and make sure its A-okay for your home. We know that new flooring is one of those things you don’t tackle too often so we’ll help you make the right choice. 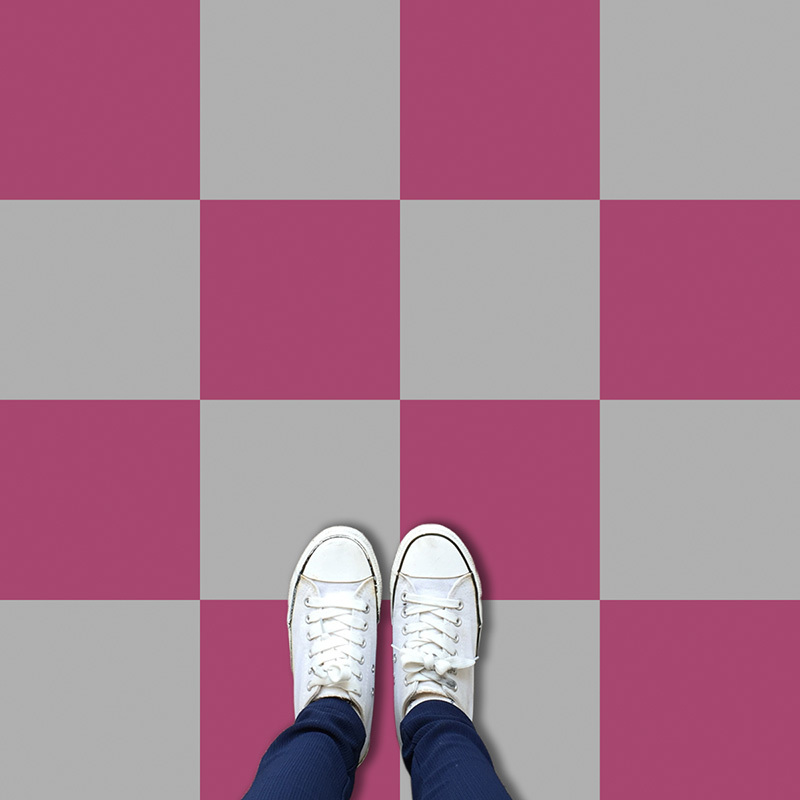 The black and white checkerboard style is one of the first designs that will pop into your mind when thinking Victorian flooring. Sophisticated, timeless and supremely elegant, the monochrome squares are ideal for that classic look. We wanted to do things a little different though. Typical, eh? 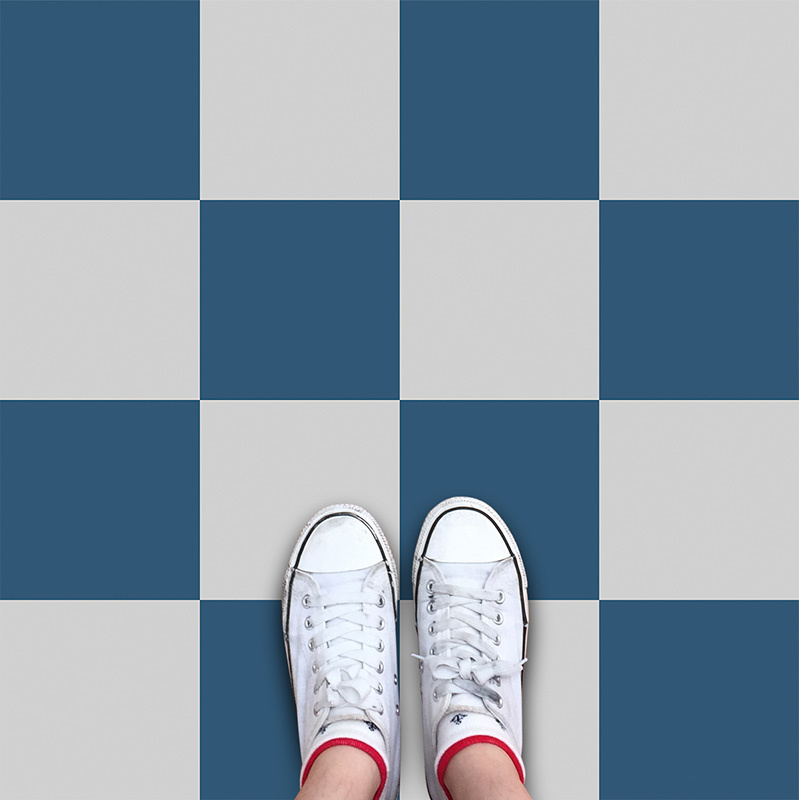 A black and white checkerboard is available through other flooring superstores so we decided not to just offer the same. Our own on-trend two-tone colours can be printed in whatever shades you’ve set your heart on. 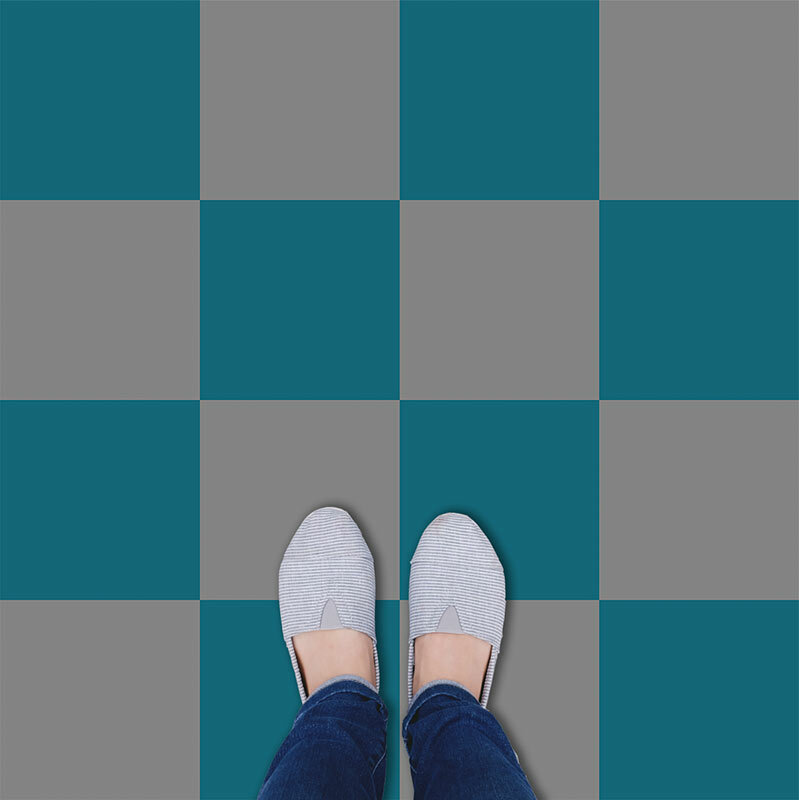 Order the ‘Geo: Chess‘ pattern and put in the order message ‘note’ that you require custom colours. We’ll help you with the rest. We can work from paint manufacturers’ websites or online colour sites such as design-seeds. Just let us know your colours and we’ll put together a visual proof and email it back over for you to check. There can be some difference between screen colours and printed vinyl colours so please be aware. (We have always been pretty close though). 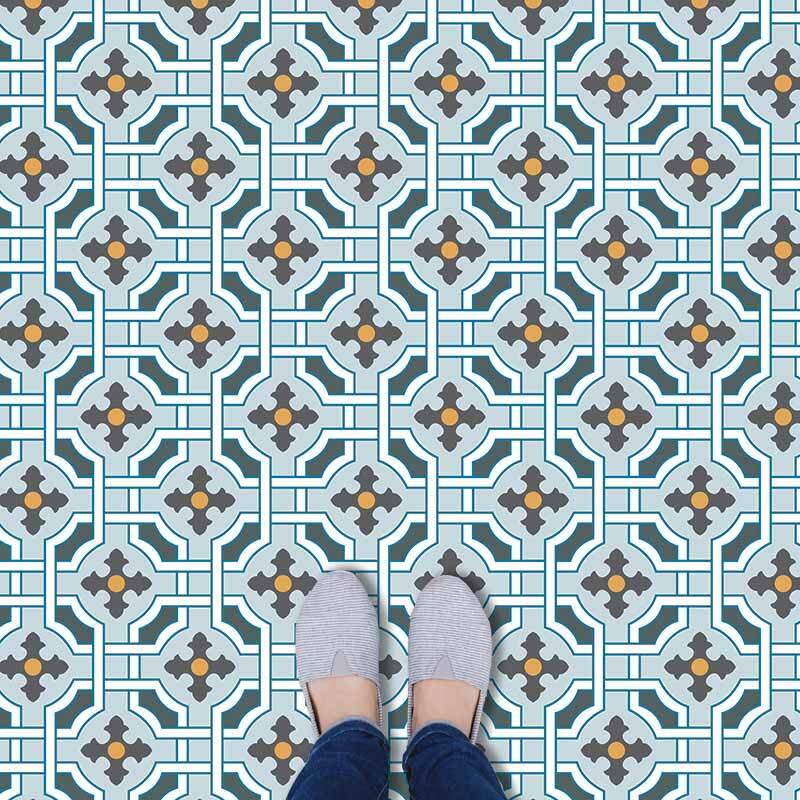 Another design cue that will certainly be in your mind when thinking victorian flooring is the geometric mosaic. 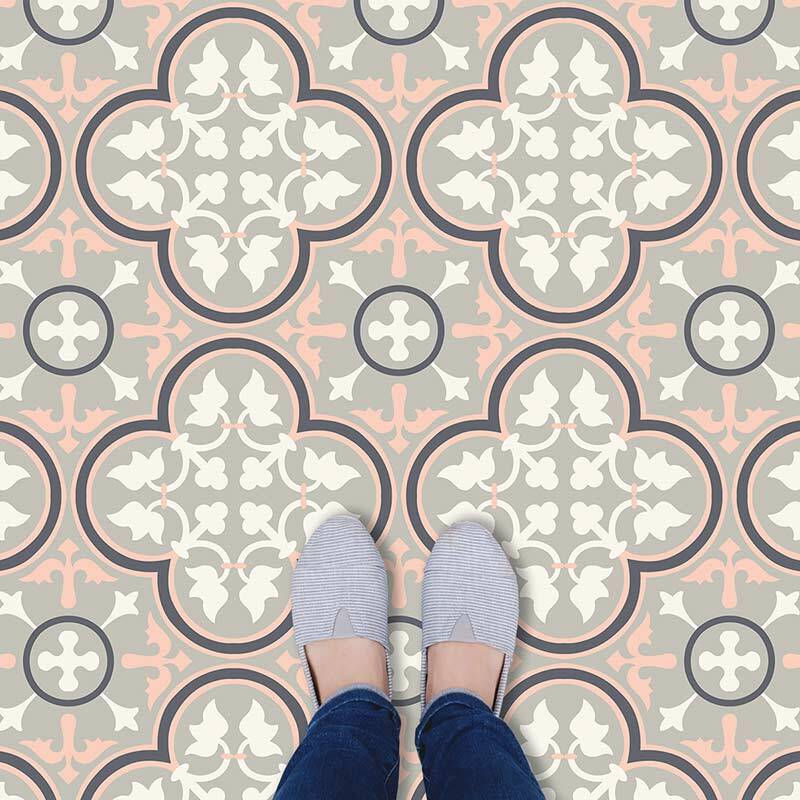 Wonderfully intricate with its use of thousands of tiny tiles, this is the style that unless you (or your fitter) have the patience of saints, victorian vinyl flooring will add the same look but without the hours of labour. The third look we are bringing to our range of Victorian vinyl flooring is the ornate patterned style. Quintessentially Victorian yet thoroughly contemporary, this was the style that only the most affluent of homeowners could afford. The beautiful intricacy of original Victorian tile flooring is also its biggest bugbear. The cost of all the tiles plus the install can be overwhelming and if your room isn’t square or the floor isn’t totally flat, laying tiles can be a difficult job. Vinyl flooring can be sized to suit your space and trimmed away wherever necessary. Simple. 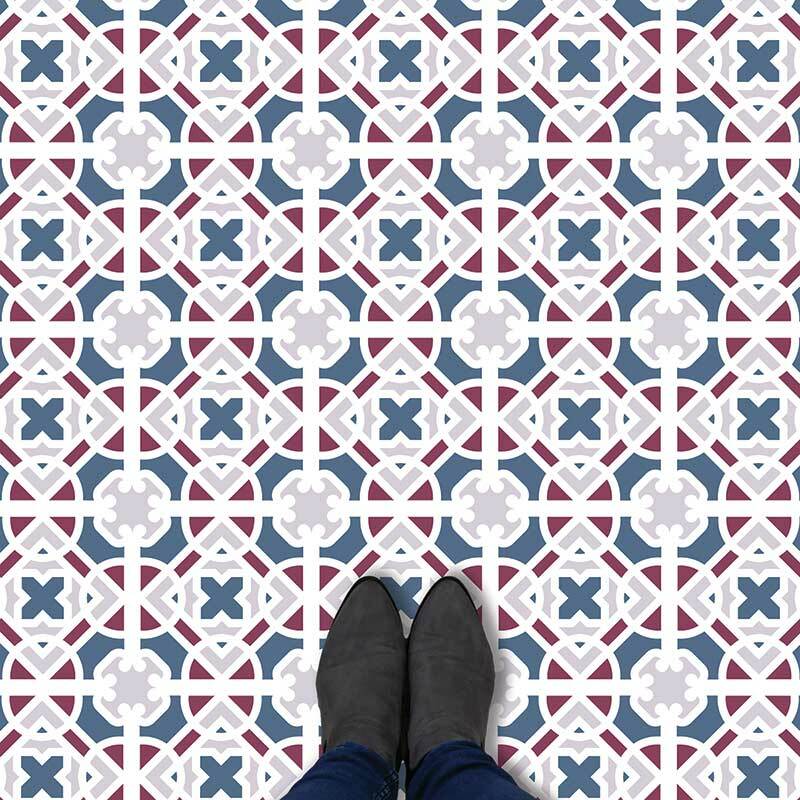 True Victorian tile flooring is a major project that will look incredible when finally finished but it could never be as painless as rolling out an individually produced Victorian vinyl flooring. A true Victorian tiled flooring needs to be laid by an expert tiler. It’s a much more in-depth job than any other tiling project and with that expertise comes a cost. Again, if you are looking for a statement floor that your kids and grandkids will grow up on, it might feel like a justifiable price to pay. But if you’re looking for a vinyl feature floor that will give you the look and charm at a fraction of the cost (with a lot simpler fitting), then pick a sample and see if we can help finish your home. Looking for a more modern colour to fit with your traditional pattern? After ordering, we can tweak any of the colours and we’ll email over a visual proof. Prefer a larger or smaller pattern? We can amend the size after ordering. Only once you’re 100% happy with how it looks will we send your Victorian vinyl flooring over to production. Contact us on email to do something truly bespoke with your Victorian flooring ideas. Our Victorian tile effect vinyl is just the thing for the modern home that still wants to tip a nod and a wink back to a bygone age. 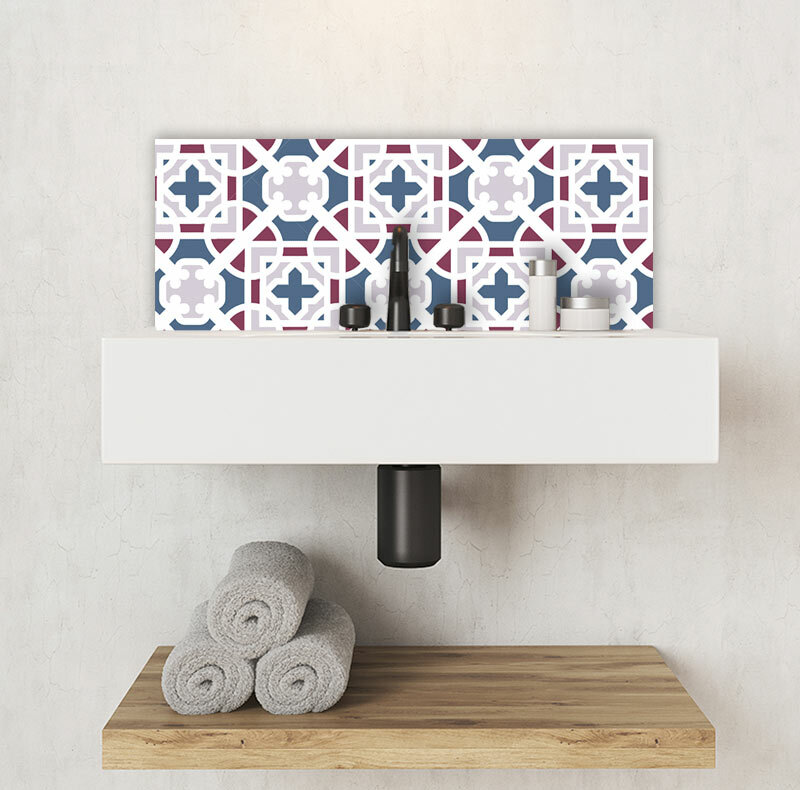 By adding contemporary colours to a Victorian tiled pattern, your space can fuse past inspirations with the latest of tonal trends. 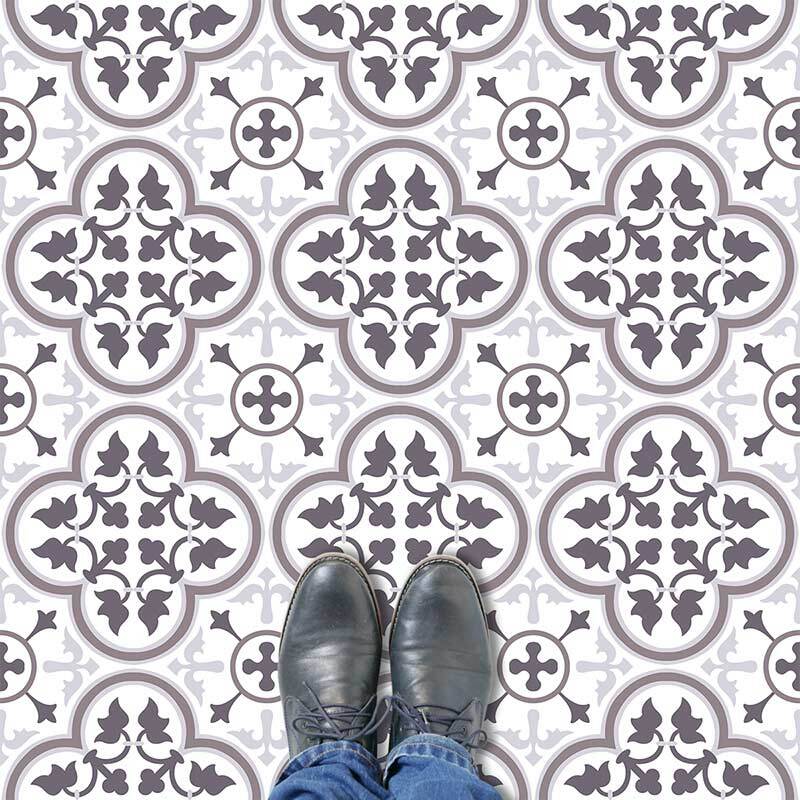 Whether its one of our bold contemporary patterns, black and white styles or these Victorian tile effect vinyl floorings, everything we produce is individually manufactured for your room. 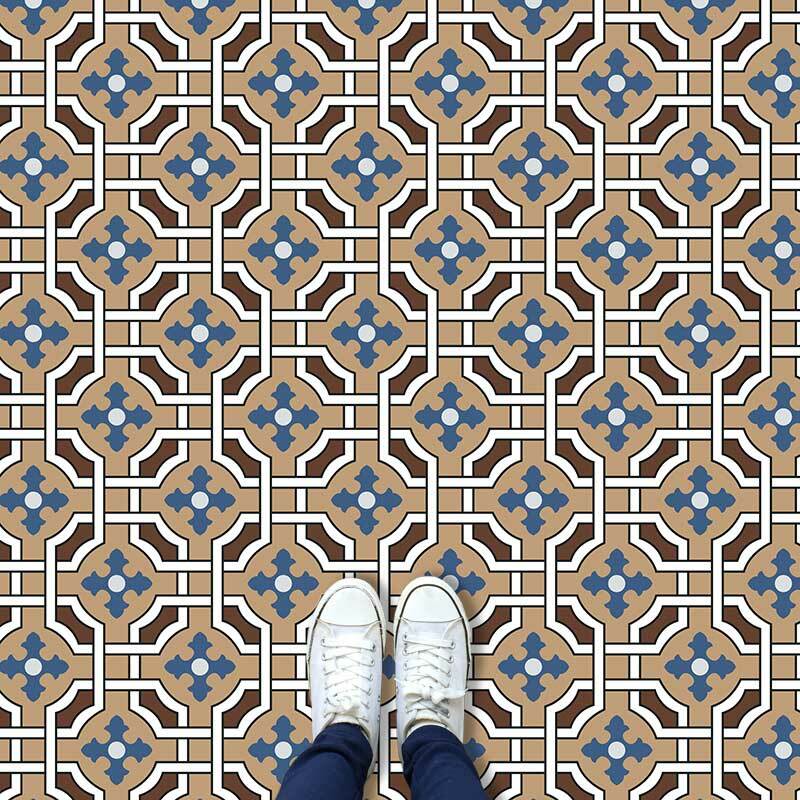 The Victorians may be famous for their mosaic and tile floorings from a hundred and fifty years ago, but it’s our modern technology that is updating it for the twenty-first century! 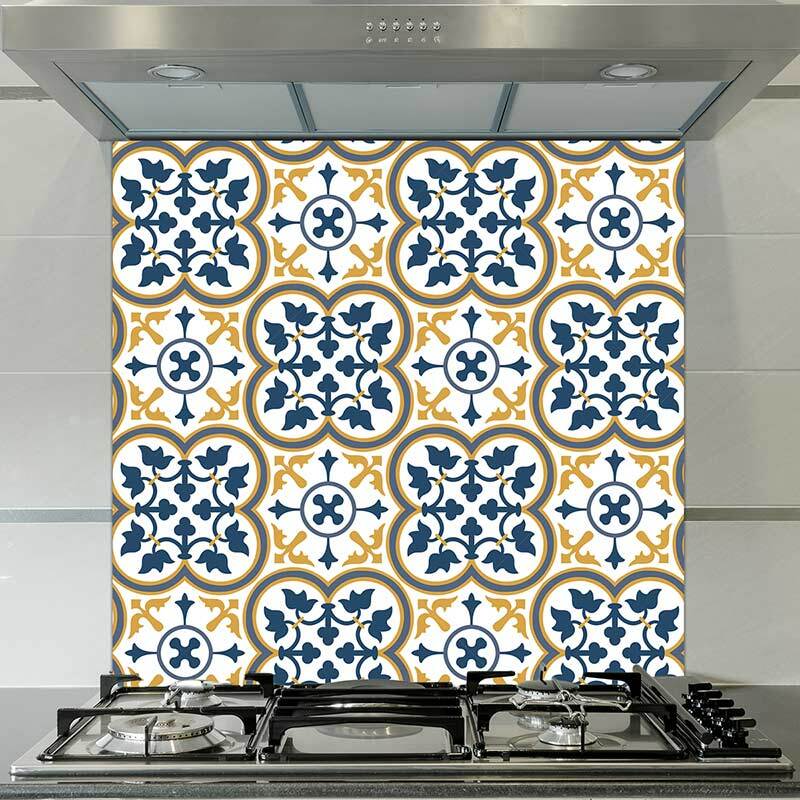 PS – we also produce these designs on glass as part of our sumptuously printed splashbacks and Feature Tiles. Thank you for reading and I hope our new Victorian vinyl flooring patterns have given you a few ideas for your home. If there is anything you’d like to share, we love to talk over on social media. Margot – pattern designer, lover of all things Victoriana, avid ‘Victoria’ watcher and ‘Antiques Roadshow’ guilty pleasure seeker! Trending Now: Pastel Flooring Fish Scale Tiles For Flooring & Splashbacks – How Mermaids Are Making A Big Splash!